GERMANY, Undisclosed Location —After months of deliberation and with great trepidation, I begrudgingly announce that I am the so-called Messiah. I do not reveal this for fame or gain but rather out of self-preservation for it’s far less likely that the Geneva-based CIA will assassinate me prior to the end of the Maya Calendar on June 21, 2018, once I announce that I am the Messiah. The last thing the CIA wants to do is martyr the whistle-blower journalist who exposed CIA Headquarters beneath Lake Geneva right after he declares he is the so-called ‘Chosen One’ (i.e., the Messiah). It is imperative to note that I am not holy or a saint by any means. Like Jesus before me, I am just a man. I just decided to speak truth to power and the rest is history. Although the decision to become a peace activist was mine and mine alone, the following evidence suggests that my role as the Messiah was predetermined long before I ever set foot on planet Earth. Regardless, I am actively trying to save humanity from extinction and that’s all that really matters. The term ‘Messiah’ was likely derived from the words ‘Miss’ and ‘Eye’ for the Messiah, who will ultimately be responsible for saving the World, destroying the Greco-Roman Empire (see below) and snuffing out the 13 Bloodlines of Man would somehow be ‘missed’ by the ‘All Seeing Eye’ of the C-‘EYE’-A (i.e., Central Intelligence Agency). That is to say that despite knowing what year he was born in and exactly what he looked like, the Messiah would inexplicably be overlooked by the CIA before it was too late, hence the name. It is imperative to note that the Messiah is the Anti-Christ to the Greco-Roman Empire while the Anti-Christ is the Messiah or Savior to the Greco-Roman Empire. Therefore, the Anti-Christ and the Messiah are two different terms for the same person. That being said, since the Greco-Roman Empire knew that the Messiah would come to save the World at the end of the Age, they created the Anti-Christ-known as Barack Hussein Obama who was spawned to be the Savior of the Greco-Romans by in essence being a de-facto World dictator who oversees the genocide of hunanity under the guise of a global biological pandemic. However, as correctly prophesized, Obama was ultimately destroyed (i.e., removed from power) by the Messiah. The terms ‘Messiah’ and ‘Savior’ have become synonymous namely due to the story of Jesus Christ depicted within the Holy Bible. Although the Biblical narrative states that Jesus came to save mankind from ‘sin’, the real Messiah came to save the human race from extinction which is currently planned under the guise of a global biological pandemic. Although Jesus Christ allegedly existed 2,000+ years ago, he holds the title of Messiah and has been deemed the ‘Savior’ of mankind. The reality is that mankind didn’t need a Savior back then like they do now. Therefore, the story of Jesus depicted in the Holy Bible is the story of the future Messiah which has now been identified as David Chase Taylor. Aside from all the physical traits and similarities, the trials and tribulations suffered by Jesus are reflected in the life of David Chase Taylor. That is to say that the persecution allegedly suffered by Jesus has been inflicted upon Taylor tenfold who has been subjected to unspeakable tortures and persecution over the last 7-years in his quest to save humanity from extinction. Theosophists believed that the Maitreya (i.e., the Messiah) would physically manifest on Earth sometime in the 21st century, becoming the Messiah expected for generations in virtually all major religions. Esoteric artist and author Benjamin Creme stated that the Maitreya (i.e., the Messiah) communicated to him that he had decided to return to Earth prior to the year 2025. Creme later stated that the Maitreya materialized in a physical body early in 1977. In other words, the Messiah was born in 1977 and is therefore roughly 40-years of age. Although Shia Muslims believe that “[The Messiah] will not come in an odd year” such as 1977, the Islamic calendar is odd when the Gregorian calendar is even (i.e., the year of 2017 equates to the year 1438 within the Islamic calendar). Therefore, the odd year of 1977 equates to the even year of 1398 within the Islamic calendar. According to the account of the Messiah by the Mahdi, “…he [the Messiah] is forty years old”. David Chase Taylor was born in Fredrikstad, Norway on April 15, 1977, and is currently 40-years of age. The date of April 15, 2014, is known in esoteric astronomy as ‘Day Zero’ for it marks the first Blood Moon in a tetrad of Blood Moons which officially marks the beginning of the end of the so-called Maya Calendar in 2017. David Chase Taylor was born exactly 37-years prior on April 15, 1977, and is currently the only author, futurist, journalist and philosopher in the World who has correctly identified and prophesied the end of the Maya Calendar in 2017, the start of the Apocalypse. Taylor’s cat Nike, which doubles as his Guardian Angel, is coincidentally also born on April 15th. Lastly, the official symbol of Earth is a ‘+’ symbol superimposed upon an ‘O’ symbol (see above photo) which numerically equates to “4/15” as in April 15th (i.e., Day Zero). The number ‘4’ was formerly a ‘+’ symbol within the Roman Score (i.e., the original alphabet) while the ‘O’ symbol is the 15th letter within the English alphabet. The Earth symbol doubles as crosshairs for April 15th is when the Greco-Roman Empire and her Babylonian System become targeted for extinction which is evidently why Taylor and his cat were born on this historic date. In Judaism, the Messiah is depicted as a human leader, physically descended from the paternal Davidic line through King David and King Solomon. That is to say, despite being touted as a divine being sent from Heaven, the Messiah is a mere human. The Messiah is referred to in Judaism as Messiah ben David, meaning “Messiah, son of David”. The early Church believed that the life of David foreshadowed the life of Christ in that: a) both were born in Bethlehem, b) David was a shepherd while Jesus Christ was known as the Good Shepherd, c) David chose five stones to slay Goliath while Jesus suffered five Holy wounds, d) David became King and Jesus started his ministry at age 30, and e) many of the Davidic Psalms are typical of the future Messiah. In the Holy Bible, verse Luke 2:4 states that “And Joseph also went up from Galilee, out of the city of Nazareth, into Judaea, unto the city of David, which is called Bethlehem; (because he was of the house and lineage of David), while Luke 2:11 states that, “For unto you is born this day in the city of David a Saviour, which is Christ the Lord”. In short, the city, lineage and name of David is intimately associated with the Savior and Messiah—Jesus Christ. David Chase Taylor was officially named ‘David’ by his parents in Fredrikstad, Norway on April 15, 1977. In a March 11, 2015, op-ed published by the Israel National News, Chen Ben-Eliyahu called on Israel to nuke Germany “when the Messiah comes“. Ben-Eliyahu stated that Israel must reverse the Final Solution, claiming that, “Twenty, thirty atomic bombs on Berlin, Munich, Hamburg, Nuremberg, Cologne, Frankfurt, Stuttgart, Dresden, Dortmund and so on to assure the job gets done. And the land will be quiet for a thousand years”. The Messiah, David Chase Taylor, moved from Switzerland to Germany on February 8, 2017, and has exposed the plot by the Geneva-based CIA to stage a nuclear holocaust in Germany in order to assassinate him and trigger World Wat III as depicted in the latest Truther.org report from August 1, 2017, entitled ‘Germany’ Impending Nuclear Holocaust‘. Needless to say, Ben-Eliyahu is an intelligence operative who is privy to the CIA’s plot to: a) assassinate the Messiah Taylor once after he moves to Germany, and b) destroy Europe and the World for that matter prior to the end of the Maya Calendar in 2017. Due to roughly 50,000 timely Truther.org terror alerts and investigative reports, David Chase Taylor has been able to effectively thwart scores of bio-chemical attacks, nuclear terror attacks and World War III which were planned by the Geneva-based CIA under the guise an Obama dictatorship. The term ‘Savior‘ is defined as “one that saves from danger or destruction” which is exactly what Taylor has done, starting with the foiled Super Bowl XLV nuclear terror plot on February 6, 2011, as foretold by his first book entitled ‘The Nuclear Bible‘ (2011). 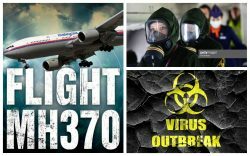 In short, the CIA plans to wipe out humanity in the aftermath of nuclear terror attacks via a global biologic pandemic which Taylor exposed in his second book entitled ‘The Bio-Terror Bible‘ (2012). Because Taylor blew the whistle on CIA Headquarters beneath Lake Geneva in Switzerland, virtually none of the plots or wars he has identified and exposed come to fruition. That’s because the Swiss CIA is deathly afraid of being exposed on a global level if and when the Truther.org reports go viral post-attack. The Holy Bible states in Luke 3:23 that “…Jesus himself began to be about thirty years of age, being (as was supposed) the son of Joseph, which was the son of Heli“. In short, Biblical scholars agree that age 30 is the when Jesus officially began his ministry. David Chase Taylor coincidentally also answered his calling at the age of 30, founding Truther.org in San Diego, California on November 11, 2007. In Islamic eschatology, Jesus (i.e., the Messiah) will return to Earth at the End of Times along with the Mahdi and defeat al-Masih ad-Dajjal, otherwise known as “False Messiah” or the “Antichrist”. 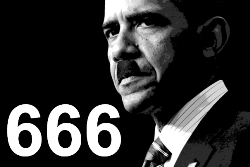 In the Truther.org report entitled ‘Obama 666‘ (2016), David Chase Taylor revealed that Barack Hussein Obama is in fact the Anti-Christ as depicted in the Holy Bible. With the swearing-in of Donald J. Trump as President of the United States on January 20, 2017, the Anti-Christ Obama was effectively defeated and removed from power. Although the CIA is desperately trying to stage an Obama military coup d’état to resurrect the fallen Anti-Christ as depicted in the Truther.org report entitled “10 Reason Why an Obama Military Coup is Imminent“, it will not come to fruition so long as Taylor is alive. Based off countless depictions and renditions of Jesus Christ from the Middle Ages to present day, the man known as Jesus Christ of Nazareth looks virtually identical to the Messiah, David Chase Taylor. Exactly how people knew what the Messiah would look like is not yet know, but those who dabble in magic and witchcraft may have had dreams or visions of what the future Messiah would look like. Due to the use of hallucinogenic drugs such as acid, magic mushrooms and peyote, people can be granted a look into the future which may be the case in respect to the future looks of the Messiah. Due to David Chase Taylor’s Germanic and Irish ancestry, he has blue eyes. The notion that the Messiah will have blue eyes is found within ancient literature and foreshadowed in scores of films and paintings. In ‘The Archko Volume‘, which contains official court documents from the days of Jesus, it claims that Jesus had blue eyes and golden hair. In the chapter entitled “Gamaliel’s Interview”, it states the following in respect to the appearance of concerning Jesus (Yeshua): “I asked him to describe this person to me, so that I might know him if I should meet him. He said: ‘If you ever meet him [Yeshua] you will know him. While he is nothing but a man, there is something about him that distinguishes him from every other man..His eyes are large and a soft blue, and rather dull and heavy….’. Nicephorus Callistus introduced his description of Christ (MPG, cxlv. 748) with the words, “as we have received it from the ancients”, and was impressed with Jesus Christ’s ‘sea-blue eyes shading into brown‘. A report by Pontius Pilate to the Roman Senate concerning the description of Jesus allegedly contains a description of Jesus with ‘piercing eyes of a grayish-blue‘. Exactly how these people knew that the Messiah would have blue eyes is not yet known, but those who dabble in magic and witchcraft may have had dreams or visions of what the future Messiah would look like. Due to the use of hallucinogenic drugs such as acid, magic mushrooms and peyote, people can be granted a look into the future which may be the case in respect to the future eye color of the Messiah. The notion that the Messiah will have long blondish-brown hair with a tint of red is found within ancient literature and foreshadowed in scores of films and paintings. Due to David Chase Taylor’s Germanic and Irish ancestry, he coincidentally has long blondish-brown hair with a tint of red. A hadith in Abu Dawud (37:4310) states that the Messiah will be reddish dusky complexion. Based on this account, the Messiah will have dark reddish hair and tan skin. The Islamic tradition states that the Mahdi (i.e., the Messiah) will have flat cheeks and straight hair which Taylor coincidentally has. The description of Jesus found in the Letter of Lentullus states that “his hair of (the color of) the chestnut, full ripe, plain to His ears, whence downwards it is more orient and curling and wavering about His shoulders”. Nicephorus Callistus introduced his description of Christ (MPG, cxlv. 748) with the words, “as we have received it from the ancients”, and was impressed with Jesus Christ’s ‘brown beard of moderate length, and the long hair”. In ‘The Archko Volume‘, which contains official court documents from the days of Jesus, it claims that Jesus had blue eyes and golden hair. (i.e., blondish hair). Exactly how these people knew that the Messiah would have blondish-brown hair with a tint of red is not yet known, but those who dabble in magic and witchcraft may have had dreams or visions of what the future Messiah would look like. Due to the use of hallucinogenic drugs such as acid, magic mushrooms and peyote, people can be granted a look into the future which may be the case in respect to the future hair color of the Messiah. Similar to the countless depictions of Jesus Christ, David Chase Taylor has a large and flat forehead behind which lies his pineal gland (i.e., the Third Eye). Abu Sa‘id al-Khudri, the Messenger of Allah, stated that “The Mahdi is of my lineage, with a high forehead and a long, thin, curved nose”. A report by Pontius Pilate to the Roman Senate concerning the description of Jesus allegedly contains a description of Jesus with “an open and serene forehead“. Exactly how these people knew that the Messiah would have a large forehead is not yet known, but those who dabble in magic and witchcraft may have had dreams or visions of what the future Messiah would look like. Due to the use of hallucinogenic drugs such as acid, magic mushrooms and peyote, people can be granted a look into the future which may be the case in respect to the future size of the Messiah’s forehead. The Holy Bible states in John 19:34 that “But one of the soldiers with a spear pierced his side, and forthwith came there out blood and water”. Said spear is often refered to as the Holy Lance. Therefore, in theory, the Messiah should have a scar in roughly the same place at Jesus. Around 2005, David Chase Taylor had surgery to remove a benign plexiform nuerofibroma tumor from his left abdominal wall, resulting in a scar which is located just below the rib cage (see above photo). Consequently, both Jesus and Taylor have a scar in the exact same place, both courtesy of a metallic blade. Exactly how the authors of the Bible knew that the Messiah would have a scar on his abdominal wall is not yet know, but those who dabble in magic and witchcraft may have had dreams or visions of what the future Messiah would look like. Due to the use of hallucinogenic drugs such as acid, magic mushrooms and peyote, people can be granted a look into the future which may be the case in respect to the future scar on the Messiah’s stomach. According to At-Tarabani, the Messiah will be of Caucasian descent with a mole on his left cheek. According to the account of the Messiah by the Mahdi, “His face is like a colorful, glittering star, upon his right cheek there is a black mole and he is forty years old”. The Mahdi also states that “…upon his face is a mole and upon his shoulder is the Sign of the Prophet, praise and peace be upon him”. David Chase Taylor has a black mole on his left cheek bone (see above photo). Exactly how these people knew that the Messiah would have a black mole on his cheek is not yet know, but those who dabble in magic and witchcraft may have had dreams or visions of what the future Messiah would look like. Due to the use of hallucinogenic drugs such as acid, magic mushrooms and peyote, people can be granted a look into the future which may be the case in respect to the black mole on the cheek of the Messiah. A hadith in Abu Dawud (37:4310) states that the Messiah will be a man of medium height and reddish dusky complexion. Based on this account, the Messiah will be around 5’10 (177 centimeters) in height with dark reddish hair and tan skin. David Chase Taylor is 5’11.5 tall which is universally considered to be medium height. Exactly how these people knew the future height of the Messiah is not yet know, but those who dabble in magic and witchcraft may have had dreams or visions of what the future Messiah would look like. Due to the use of hallucinogenic drugs such as acid, magic mushrooms and peyote, people can be granted a look into the future which may be the case in respect to the future height of the Messiah. Islamic Shia traditions states that the Mahdi will be “a young man of medium stature with a handsome face and beard”. Nicephorus Callistus introduced his description of Christ (MPG, cxlv. 748) with the words, “as we have received it from the ancients”, and was impressed with Jesus Christ’s ‘brown beard of moderate length”. According to At-Tarabani’s account of the Messiah, “His beard is thick, his eyes naturally masquerade, his teeth are radiant”. The description of Jesus found in the Letter of Lentullus states that “His beard thickish, in color like His hair“. David Chase Taylor coincidentally happens to have a brown beard of medium length. Exactly how these people knew that the Messiah would have a beard is not yet know, but those who dabble in magic and witchcraft may have had dreams or visions of what the future Messiah would look like. Due to the use of hallucinogenic drugs such as acid, magic mushrooms and peyote, people can be granted a look into the future which may be the case in respect to the length and color of the Messiah’s beard. The notion that David Chase Taylor is the Messiah was confirmed, albeit in a de facto manner, on January 23, 2015, when Popular Mechanics published a propaganda report which stated that forensic science now confirms that Jesus looks nothing like the way he has been depicted for the last thousand years in countless paintings and sculptures. In other words, if a man who looks exactly like Jesus Christ appears on Earth, pay no attention. As someone once said, “You can tell a lot about your enemy by what they are afraid of”. Naturally, the CIA is petrified that news of Taylor being the Messiah will go viral and have therefore have taken counter measures to try and discredit any such future claims. According to At-Tarabani, the Messiah will be of Caucasian descent. 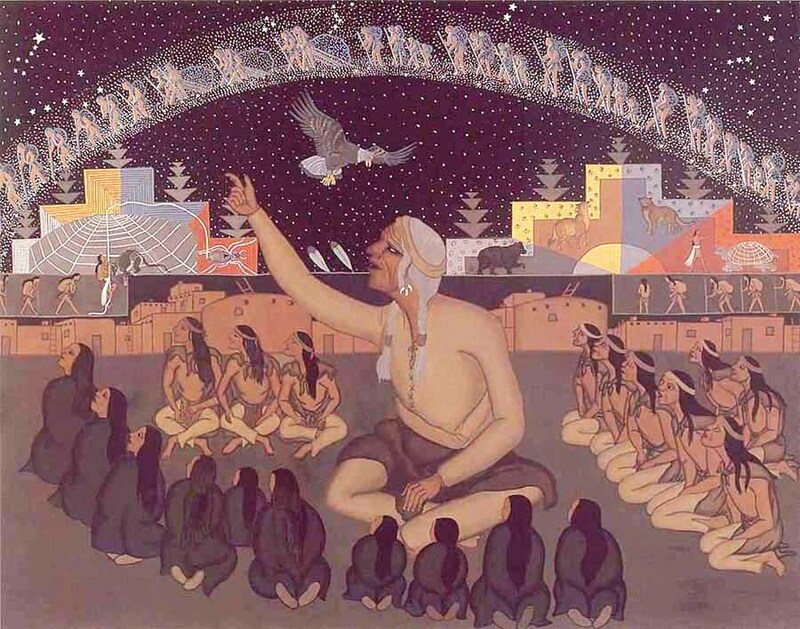 In the Hopi tradition, the true Pahana (or Bahana) is the Lost White Brother of the Hopi who will return again when the wicked are destroyed to usher in a new age of peace, the Fifth World. This prophecy will transpire after the Apocalypse in 2017, as revealed by David Chase Taylor. White Feather, a Hopi of the ancient Bear Clan, stated that “My people await Pahana, the lost White Brother, as do all our brothers in the land. He will not be like the white men we know now, who are cruel and greedy…He will bring with him the symbols, and the missing piece of that sacred tablet now kept by the elders, given to him when he left, that shall identify him as our True White Brother…Pahana will return. He shall bring with him the dawn of the Fifth World. He shall plant the seeds of his wisdom in their hearts. Even now the seeds are being planted. These shall smooth the way to the Emergence into the Fifth World”. Abu Sa‘id al-Khudri, the Messenger of Allah, stated that “The Mahdi is of my lineage, with a high forehead and a long, thin, curved nose”. According to Harvard University anthropologist William Howells, clinical traits of the Caucasian race include “straight faces” and “narrow noses”. These accounts suggest that the Messiah is white or of Caucasian descent, just like David Chase Taylor. The Holy Bible states in John 20:25 that “The other disciples therefore said unto him, We have seen the Lord. But he said unto them, Except I shall see in his hands the print of the nails, and put my finger into the print of the nails, and thrust my hand into his side, I will not believe.” Similar to how Jesus Christ suffered holes in his hands and body courtesy of nails hammered by Roman soldiers, David Chase Taylor suffered severe blisters on his hands and feet over an 18-month period which ruptured, leaving scores of nail-like holes. The contagious non-permanent skin ailment was premetitatively given to him by a female CIA operative named Geraldine in Basel Switzerland on September 21, 2017. Said holes have resulted in permanent scaring. Due to walking thousands of miles (see below), Taylor incurred massive blisters on his feet which were unable to heal before new blistered occurred, resulting in large wounds or holes in his feet. The Holy Bible states in John 19:1-2 that “Pilate then took Jesus and scourged Him. And the soldiers twisted together a crown of thorns and put it on His head, and put a purple robe on Him”. Similar to how Jesus Christ was forced to wear a crown of thorns upon his head which caused his scalp to bleed, David Chase Taylor has been forced to endure a scalp ailment since 2011 due to being inside behind a computer for roughly 10-15 hours a day, everyday, for almost 7-years straight. Said ailment causes severe itching and pimple-like cysts which rupture and bleed upon scratching. The Holy Bible states in John 19:1 that “Pilate then took Jesus and scourged Him”. Similar to how Jesus Christ was forced to endure countless lashes of the whip courtesy of Roman soldiers, Taylor has had to deal with countless back spasms, neck spasms and shoulder pain for years due to: a) lack of proper exercise, b) carrying a heavy suitcase and bags everyday for years on end, c) logging tens-of-thousands of hours behind a computer, d) being forced to sleep in a different bed virtually ever night since 2014, and e) being forced to sleep on the streets since March of 2017. Similar to the lash of a whip, muscle spasms shoot down the entire body, causing it to cringe and convulse in pain. The Holy Bible states in Luke 22 that Jesus Christ was betrayed by Judas. David Chase Taylor has been betrayed by members of his family, former girlfriends, friends and colleagues, many of which are currently working with the CIA, FBI and/or the Swiss FIS to frame Taylor for various crimes he did not commit, or to have him forcefully institutionalized for alleged mental illness. Although the betrayals are too many to list, Taylor’s two sisters, Jessica and Susanna, have repeatedly tried to have him committed to a mental asylum. Taylor’s former Swiss-Italian friend named Jerry Lavorgna, who ironically vouched for Taylor when he applied for political asylum in Switzerland on July 17, 2015, actually lured Taylor to a house outside of Basel where he was slated to be murdered. To be fair, Lavorgna thought Taylor would be institutionalized which is why he wrote a letter to the Swiss government on September 8, 2016, claiming that Taylor was clinically insane. In short, Taylor has been betrayed for years on end by virtually everyone he has previously known or met in Europe which speaks volumes about the current ethical and moral state of humanity. Because the story of Jesus Christ is in essence the story of the coming Messiah, the coincidences between the story of Jesus and that of David Chase Taylor are eerily similar. Similar to Jesus, Taylor has been homeless in Europe since 2014. In Arabic, the word al-Masīḥ is the name for the Messiah which literally means “the anointed”, “the traveler”, or the “one who cures by caressing”. In other words, Jesus moved around a lot. Needless to say, the reason for the Messiah’s travels is that he is desperately trying to avoid assassination by the Roman Empire which he is trying to destroy, never staying in one location for too long. Taylor has been forced to travel across Germany and Switzerland since 2014, staying in over 1,000 different locations, mostly just for one night. Although only conjecture, the cumulative total distance incurred by Taylor during his travels is likely over 100,000 miles (160,000 kilometers). Because the story of Jesus Christ is in essence the story of the coming Messiah, the official Greco-Roman narrative is that the Messiah is crucified by the Jews which is why the instrument of Jesus’ death is the Swiss cross for it’s a symbolic tribute to the Greco-Roman Empire’s future blood sacrifice of the Messiah by the Geneva-based CIA. Unlike Jesus however, Taylor had gone on to live way past the age of 33 as he continues to save the World under the divine protection of the Creator. Despite avoiding and foiling over 1,000 assassination and arrest plots, Taylor is still being hunted to this very day by the Swiss CIA. The term “Mahdi” literally means “guided by God” which implies that the Messiah is an individual who has been ordained and guided by God to usher in the Messianic Age. That being said, it is imperative to note that the Messiah is just a man who just happens to have a special relationship with God which any other Earthling can have if they so choose. Similar to how Jesus Christ was forced to carry his cross through the streets of Jerusalem, David Chase Taylor has been forced to carry his luggage and/or pull his shopping cart though Europe for almost 4-years now, never being allowed to store his belongings lest the CIA place drugs, explosives or weapons-related paraphernalia inside in order to frame him which they have repeatedly tried to do. Aside from the physical tribulations that Taylor has been forced to endure since 2011, Taylor has published roughly 50,000 Truther.org reports over the last 5-years in a desperate attempt to stave off World War III. Tasked with keeping the World safe, one mistake or miscalculation could result in millions being killed, an awesome responsibility to be sure. Taylor has also been forced to bear the cross, the Swiss Cross, whose CIA has been hunting him day and night since 2011. Similar to how Jesus Christ endured political persecution by Ponchos Pilot and the Roman State, David Chase Taylor has been persecuted beyond measure for years on end by repeatedly being denied: a) gainful employment, b) unemployment benefits, c) health care, d) dental care, e) housing, f) food, and g) shelter. Not only that, Taylor was denied his right under international law to an attorney and the right apply for political asylum in Switzerland. In short, after filling out an official political asylum application on July 17, 2015, the Swiss government decided his case within 24-hours without ever looking at one piece of evidence in Taylor’s case. The Swiss government stated that Taylor’s case did not warrant asylum because he already applied back in 2011 when he originally inquired about political asylum in Switzerland. If the evidence in Taylor’s case was ever submitted in a Swiss court of law, Switzerland would be legally forced to act, likely resulting in international scandal of epic proportions. Needless to say, that could not be allowed to happen under any circumstance. The Holy Bible states in John 2:15 that “And when he had made a scourge of small cords, he drove them all out of the temple, and the sheep, and the oxen; and poured out the changers’ money, and overthrew the tables”. Like Jesus Christ before him, David Chase Taylor exposed the evils of the World banking system. In the Truther.org report entitled “10 Reasons Why Switzerland is Home of the CIA“, Taylor reveals that the Bank for International Settlements (BIS) in Basel, Switzerland is the financial backbone of the CIA, secretly funding its nefarious operations around the World. Admittedly “the World’s oldest international financial organization”, the BIS funds 60 central banks (e.g., Bank of China, Bank of England, Federal Reserve Bank, etc. ), which collectively make up 95% of the World’s GDP (gross domestic product). Although the BIS bills itself as an international organization of central banks which attempts “to foster international cooperation in those areas and to act as a bank for central banks“, it is solely responsible for orchestrating the World’s financial crises simply due to the fact that it alone has the power to create money. In short, the BIS is solely responsible for creating and distributing the World’s fiat money supply which is in turn used to fund the World’s respective governments, intelligence agencies and militaries, as well as all the assassinations, terror attacks wars they engage in at the behest of the Geneva-based CIA. As the financial wing of the CIA, the BIS is fiscally responsible for funding virtually all of chaos, madness and terror seen around the World today. In Islam, the name of Mahdī (i.e., the Messiah), the ultimate savior of humankind, literally means “guides to secret matters”. Consequently, it can be deduced that the Mahdī will divulge secrets, namely in respect to the Roman Empire, her CIA in Switzerland and the end of the Maya Calendar in 2017. The prophet Muhammad is alleged to have said in the hadith that “The Mahdi is the protector of the knowledge, the heir to the knowledge of all the prophets, and is aware of all things”. Therefore, in order to save the World, the Mahdi will reveal sacred knowledge which has been hidden from humanity for centuries. These secret revelations made by the Mahdi (i.e., the Messiah) are commonly referred to as the Apocalypse which has erroneiously become synonymous with the so-called “End of the World”. Rather, the term Apocalypse is defined as the “uncovering”, a disclosure of knowledge (i.e., a lifting of the veil or revelation), a “vision of heavenly secrets that can make sense of Earthly realities“. In other words, the Apocalypse is the revealing of the true power structure of the Earth, namely in respect to the Roman Empire in Greenland and its CIA Headquarters located beneath Lake Geneva in Switzerland. The Imam Muhammad al-Baqr is alleged to have said that “When the Mahdi appears he will follow in the path of the Messenger of God. Only he can explain the works of the Messenger of God”. That is to say that the Madhi (i.e., the Messiah) will be divinely inspired, explaining his revelations in writing for all the World to see. Said writings will reveal never-before-heard information, namely in respect to the Roman Empire. In Judaism, the Messiah will be the one who will not “judge by what his eyes see” or “decide by what his ears hear”. Therefore, the Messiah will be divinely inspired and guided by God, revealing esoteric truths which have previously been hidden from humanity. When describing the Messianic Age to come, the Jewish philosopher Maimonides (1135-1204) stated in the Mishneh Torah, Laws of Kings 12:5, that “…the people Israel will be of great wisdom (Israel is a metaphor for the World); they will perceive the esoteric truths and comprehend their Creator’s wisdom as is the capacity of man. As it is written [in Isaiah 11:9]: ‘For the earth shall be filled with the knowledge of God, as the waters cover the sea’”. In other words, the Messiah will enlighten all of humanity. In Ahmadiyya theology, “Messiah” and “Mahdi” are synonymous terms for one and the same person. The term “Mahdi” literally means “guided” by God, further confirming the notion that the information revealed by the Messiah will divinely inspired. In Zoroastrianism, the Saoshyant, whose name literally means “one who brings benefit”, is a figure of who brings about the final renovation of the World. Consequently, the Saoshyant is touted as the future Savior of the World in Yasht 19.88–96 which states that he will make the World perfect and immortal, and that the evil Druj will disappear. According to Theosophical literature, the Maitreya (i.e., the Messiah) is an advanced spiritual entity who is a high-ranking member of a hidden Spiritual Hierarchy, the so-called “Masters of the Ancient Wisdom”. One of the Hierarchy’s functions is to oversee the evolution and development of humankind, including its education, civilization, and religion. Consequently, the Maitreya is said to hold the so-called “Office of the World Teacher” whose purpose is to facilitate the transfer of knowledge about the true constitution and workings of Existence to humankind. That is to say that the Maitreya (i.e., the Messiah) will transfer esoteric knowledge to the people of the World, namely in respect to education, civilization, and religion, all of which are Greco-Roman in origin. In Ahmadiyya theology, the terms “Messiah” and “Mahdi” are synonymous for they represent all previous prophets. That is to say that the Messiah is the cognitive and spiritual collective of previous prophets. In other words, he ia a student of prophets which came before him and uses their collective knowledge and wisdom to avoid assassination, bear years of torture, and ultimately save humanity from extinction. Taylor is coincidentally a disciple of noted peace activists and prophets such as Alan Watts, Albert Einstein, Bob Marley, Buddha, John Lennon, Mahatma Gandhi, Martin Luther King, Jr. and Terrance McKenna. Before the World can enter into the Messianic Age (i.e., the World to Come), the Roman Empire and its Babylonian System must be destroyed by the Messiah, peacefully. Knowing that the Messiah’s arrival was imminent, the Roman Empire in Greenland spawned Barack H. Obama (i.e., the “Anti-Christ” or the “False-Messiah”) to oversee the destruction of the World so that the arrival of the Messiah and his message of peace and love would be lost in the ensuing chaos. Coincidentally, back on December 21, 2014, David Chase Taylor published a book entitled “Greenland Theory: Apocalypse Now” (2014) which revealed that the Roman Empire is alive and well in Greenland. The notion that the Roman Empire will be destroyed by the Messiah is corroborated by the Roman Catholic Saint Jerome (c. 347-420) who stated that the rise of Anti-Christ will transpire “…at the end of the World, when the Roman Empire is to be destroyed…”. Since the Roman Empire was never militarily defeated, its impending demise is found within the eschatology of virtually all religions, most of which are Greco-Roman in origin. The Roman Tiburtine Sibyl (c. 380) stated that “…when the Roman Empire shall have ceased, then the Antichrist will be openly revealed and will sit in the House of the Lord in Jerusalem”. The Roman author Tertullian (ca.160 – ca.220 AD) echoed this sentiment, stating that “What obstacles is there but the Roman state, the falling away of which, by being scattered into the ten kingdoms, shall introduce Antichrist upon (its own ruins)?”. Because the Anti-Christ is admittedly a spawn of the Roman Empire, its subsequent destruction will also include the Anti-Christ which has now been identified as Barack Hussein Obama II. Therefore, the quotes by Tiburtine Sibyl and Tertullian were likely made in respect to the Messiah who is the Anti-Christ to the Greco-Roman Empire. Since the Messiah is destined to become a great and charismatic political leader, his very existence will be denied so long as the Greco-Roman Empire is in power. In Islamic eschatology, a hadith in Abu Dawud (37:4310) prophesized that the Messiah will break the cross, kill the swine, and put an end to war. Considering that the cross is the official symbol of Rome, its destruction symbolizes the end of the Roman Empire. These prophecies, taken collectively, confirm, albeit in a de facto manner, that: a) the Roman Empire is still in power, albeit temporarily, and that b) the Messiah will ultimately destroy the Roman, ushering in the Messianic Age and the World to Come. In order to muddy the waters in respect to the fact that David Chase Taylor is the Messiah, the CIA created a new TV show entitled ‘Black Jesus‘ (2014-Present) which is about an urban Jesus. Naturally, Taylor is a fan of the series. In Germany, the CIA created a new brand in 2017 entitled ‘Mezaya’ and subsequently covered the entire German city Taylor is currently living in with ‘Mezaya’ stickers. In the event that news begins to spread that the Messiah is in town, due to word association, most people will think about the TV show and the brand name as opposed to the actual Messiah. After the Messiah destroys the Roman Empire and its Anti-Christ (which has now been identified as Barack Hussein Obama II), the World will finally enter the Messianic Age (i.e., the World to Come), otherwise known as the Age of Aquarius. In short, the Messianic Age is an era of global peace that is free of strife and conducive to the knowledge of the Creator. All religions will subsequently cease and the World will collectively worship the one and only Creator. The Messiah will also inspire all human beings to be one family and create a civilization that is based on sharing and cooperation. The Holy Bible describes this global shift of consciousness in Isaiah 2:4 (KJV) which states that “…they shall beat their swords into plowshares, and their spears into pruning hooks: nation shall not lift up sword against nation, neither shall they learn war any more”. This age of peace is also prophesized in Zoroastrianism which states that “…there will come a time when humanity will become like the Amesha Spentas, living without food, without hunger or thirst, and without weapons (or possibility of bodily injury). The material substance of the bodies will be so light as to cast no shadow. All humanity will speak a single language and belong to a single nation without borders. All will share a single purpose and goal, joining with the divine for a perpetual exaltation of God’s glory”. The Jewish philosopher Maimonides (1135-1204) described the Messianic Age in the Mishneh Torah, Laws of Kings 12:5, stating that “…there will be no hunger or war, no jealousy or rivalry. For the good will be plentiful, and all delicacies available as dust. The entire occupation of the World will be only to know God… the people Israel will be of great wisdom; they will perceive the esoteric truths and comprehend their Creator’s wisdom as is the capacity of man. As it is written [in Isaiah 11:9]: ‘For the earth shall be filled with the knowledge of God, as the waters cover the sea’”. The Jewish Kabbalah also states that the Messiah (i.e., Messiah ben David) will usher in a period of freedom and peace. According to Theosophical literature, the Maitreya (i.e., the Messiah) will make the basic needs of human beings (e.g., food, clothing, education and medical care) a universal right. Under the Maitreya’s inspiration, humanity itself will make the required changes to create a sensible and more just World for all living beings. The head of the Bahá’í Faith, Shoghi Effendi, describes the Messianic Age as “The Most Great Peace…a peace that must inevitably follow as the practical consequence of the spiritualization of the World and the fusion of all its races, creeds, classes and nations…”. Lastly, in Hinduism, a new incarnation of the avatar (i.e., the Kalki Avatar) will fight the apocalyptic snake and achieve the final victory over evil on Earth. He will renew humanity and enable people to lead pure and honorable lives.